There are quite nasty saturated fat and not good for the heart. While there are unsaturated fats that support heart health and overall body. Limit your intake of saturated fat and fulfill the needs good fats from salmon, olive oil, and avocado in order to maintain a healthy heart. Fiber touted good for digestion. But, the nutrition is also one turned out to support heart health. Fulfill the needs of fiber by eating whole grains, fruits, vegetables, and grains. By eating fiber as needed, the risk of heart attacks and diabetes would be decreased. Cholesterol is usually found in many foods such as beef, chicken, fish, eggs, butter, and cheese. Therefore, you have to control the consumption of foods with high cholesterol. Because cholesterol is one of the factors that increase the risk of heart disease. Besides of fat and cholesterol, you also should control the intake of salt. Because most of the salt consumed can trigger high blood pressure, heart disease, and kidney stones. Food purchased outside the home are usually the most saline. So you should cook more often at home. Don't forget to enjoy the flesh of fish at least once or twice a week to reduce the risk of heart attack. Because the flesh of fish has omega-3 fatty acids are considered healthy. Fish are advised to eat is salmon, tuna, and herring. Fruits not only rich in vitamins and minerals, but also the composition that helps you prevent cardiovascular disease. However, you should avoid frozen fruit, which has been mixed with sweeteners, and are available in canned form. If you like to eat bread, choose whole grain flour. Because wheat is not only rich in fiber, but it also helps regulate blood pressure and maintain heart health. Eat whole grain every day is one way a proper diet for a healthy heart. Lastly, don't forget the nuts, such as walnuts and almonds. Both types of nuts are exactly able to reduce levels of bad cholesterol in the body. Thus, the risk of heart disease will decrease. Enjoy nuts as a healthy snack in between breakfast and lunch. Pumpkin is one type of fruit filling. Because it in contains a lot of fiber that can make the body healthy. In addition, there are many other nutrients behind pumpkins you need to know. As already mentioned, pumpkin is rich in fiber. A cup of boiled pumpkin contains at least 3 grams of fiber, or 11 percent of the daily fiber intake suggestions. Besides of the fruit, pumpkin seeds also contain a lot of fiber. You can enjoy it by boiling, roasting, or steam. Vitamin A is an essential nutrient that contribute maintaining eye health. In addition, vitamin A also helps the growth of bone, keeping the immune system and the reproductive system. Other vitamins in pumpkin fruit is vitamin K and C. If vitamin K efficacious protect the liver, the vitamin C has a role in the formation and repair of damaged tissue. A small serving of pumpkin contains about 250 milligrams of potassium and iron. Moreover, unlike other sources of iron, pumpkin free of fat and definitely more healthy. The Last, the nutritional content of a pumpkin is magnesium. These nutrients needed by the body to boost the immune system. 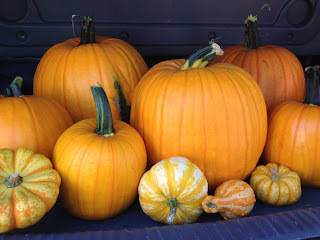 For additional information, pumpkin is a fruit that does not quickly decay if stored in a dry place. But when it was cut open, you should immediately cultivate or store it in the refrigerator. 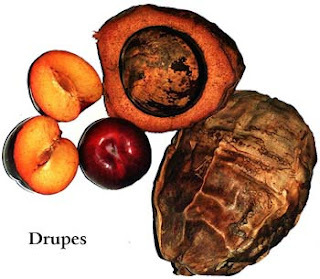 Drupe (Stonefruit) such as nectarines, peaches, and plums contain elements bioactive against obesity, insulin resistance, hypertension, and high cholesterol levels. That's the findings of U.S. researchers at Texas A & M University. The results of the study, which was presented at the American Chemical Society in Philadelphia in August, showed that the compound drupe (stonefruit) can be a weapon against metabolic syndrome, thereby reducing the chances of heart disease and diabetes. Dr. Luis Cisneros-Zevallos, the lead researcher, said: Our study suggests that the stone fruit -peaches, plums and nectarines- have potentially bioactive compounds that can fight metabolic syndrome. Our work shows that the phenolic compounds present in fruits have anti-obesity properties, anti-inflammatory and anti-diabetic in different cell lines and can also reduce the oxidation of bad cholesterol (LDL) is associated with cardiovascular disease. For information, drupe (stone fruit) in botany is the fruit that has skin and flesh surrounding a seed or kernel. These fruits have a definitive characteristics such as hard seed and undergo lignification (hollow), which is derived from the ovary wall flower. Besides nectarines, peaches and plums, some other flowering plants in the fruit is coffee, mango, olive, palm, coconut, palm, almonds, apricots and cherries. For their study, the scientists isolate a particular chemical compound of nectarines, peaches and plums. Cell culture results showed that the four major groups of phytochemical-anthocyanins, chlorogenic acid, quercetin and catechin-acts directly on fat cells and macrophage cells in blood vessel walls. Substances that plants change gene activity and protein production of cells and thus have anti-inflammatory properties. The extent to which the influence of eating peaches and other stone fruit of the metabolic syndrome in real life, is still unclear. In the next step, the researchers will investigate what molecular mechanism behind the positive effects were found. They also plan to confirm these findings in experiments on rats. In the U.S., statistics show that about 30 percent of the population is overweight or obese and the trend continues to rise alarmingly. In recent years, obesity has become a major concern due to its associated health problems, diseases known as metabolic syndrome. Lifestyle, genetic predisposition and diet plays a big role in a person's predisposition to obesity. At cold weather, it's better if you drink warm green tea. Not only makes the body become more fit but also can calm the mind. For you fans of green tea, do you know where it came from this nutritious delicious drink? Green tea originated from China, and has been used for many years as a treatment to help control bleeding, heal wounds, and improve digestion. Most teas, including green tea, white, black, and oolong tea, all harvested from the same plant, the Camellia sinensis. Differences in processing them to produce various types of tea. Tea leaves used to make green tea are dried leaves but not fermented, giving a fresh grassy flavor. 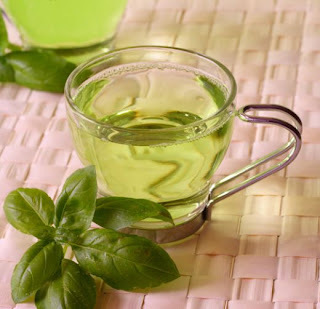 However, green tea itself is divided into several types. 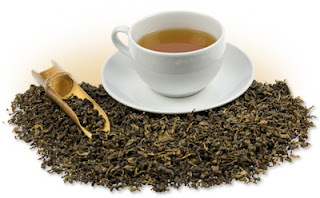 To get to know it, the following popular varieties of green tea. This drink comes from whole tea leaves that steamed, then baked in sencha, so it feels very soft, fresh, and clean. In Japan, as reported from Yum Sugar, this type of green tea is usually enjoyed as both hot and cold beverages. Green tea from China is named Gunpowder because the tea leaves that rolled and polished to resemble gunpowder. This method is useful to prevent the leaves from being damaged and to maintain flavor. Types of green tea has a smoky flavor and a bit spicy. Before becoming matcha, green tea leaves grinded until smooth, making it bright green powder. Matcha is widely used in the traditional tea ceremony in Japan, as well as one additional ingredient that can enhance the taste and also used as a food coloring like mochi. Came from the region Hangzhou, China, is well known in many countries around the world. Green tea from Hangzhou usually be panfried or sauteed as part of a treatment process to prevent the fermentation of natural decay. This type of tea is actually a combination of green tea and jasmine flower. It is a combination of common sense, and the resulting tea has a touch of floral flavor, so it smells almost like perfume. Who says sport always be good for the body? Sport was not only able to protect the body fitness, but also bring harm to the heart, according to researchers. A study analyzed data from six studies on sport. 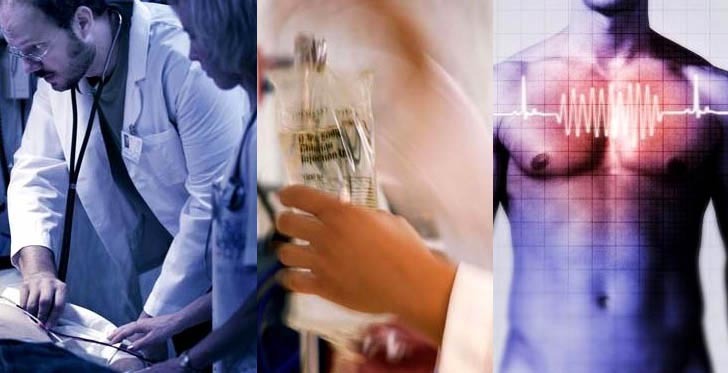 They observing 16,787 people who exercise regularly to find the effect of regular exercise on the heart. The results are quite surprising and confusing for researchers. Because nearly one in ten men in the study showed the ill effects of exercise. Some effects involving blood pressure, insulin levels, and levels of good cholesterol (HDL). Meanwhile, two of these risk factors cause heart disease gets worse as a result of regular exercise. Although only occurs in a minority of people, these investigators have not found a definite reason behind the surprising effects of the sport. Based on information from the lead researcher, Claude Bochard from Louisiana State University, this may be due to the genetics of the person which then affects blood pressure, insulin levels, and good cholesterol. An aerobic exercise such as running are known to reduce the risk of damage to the cardiovascular system is affected by age. However, a hard workout and constant can also be bad for the heart. The new research shows that drinking four cups of tea a day may reduce the risk of stroke. The scientists studying how to consume four cups of black tea can reduce the risk of blood clots in the brain by 21 percent. The findings of the scientists at the Karolinska Institute in Stockholm, Sweden, is derived from population studies involving nearly 75,000 men and women. The observation has been made since 1997 in a study of long-term health. As part of this study, the scientists monitoring the habit of drinking tea participants to ensure the effects of tea consumption on the risk of stroke. Tea can be considered as a herbal drink is good for health because it contains flavonoids. These compounds are good for the heart and brain. Soursop contains a lot of fiber to facilitate digestion and defecation, and can help control cholesterol levels. In addition, soursop can also help you control your appetite and weight control. A cup of soursop contains nearly 38 g carbohydrates, which is the main energy source of the body. Your daily carbohydrate intake should reach 45-65 percent of calories the body, ie 225-325 g per day for a 2,000 calorie diet. In addition, the types of carbohydrates contained in the fruit are much healthier than those found in soda or cake because they can trigger an increase in blood sugar. 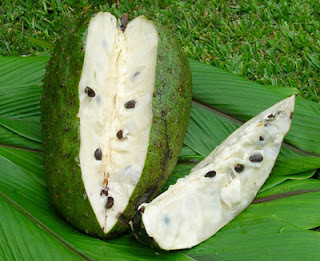 Soursop is a healthy food that can increase potassium intake for your body. Potassium is essential for the body because it helps the muscles, bones contraction, digestion and regulate healthy blood pressure levels. Soursop fruit is very rich in vitamin C. Women must meet the intake of 75 mg of vitamin C per day, while men are about 90 mg per day. Vitamin C plays an important role in the immune system and help the body fight disease, including skin damage, and heal wounds. In addition, vitamin C is also considered as an antioxidant that can fight free radical damage. A cup of soursop contains nearly 183 g of water. Most people need 8-9 glasses of water every day. Fruits with high water content, including soursop, can help prevent dehydration. The lower the climate of the region, the less sunlight reaching the earth's surface. For that, you will not get a lot of vitamin D from the sun if you live in a climate low. Not only that, the sun also can not give much vitamin D if you are wearing thick. Researchers at Harvard Medical School said that the carbon particles from the burning of fossil fuels could destroy UVB rays in the air. But they also said that pollution causes the ozone hole can increase the production of vitamin D.
You can not get vitamin D from the sun if you use sunscreen. 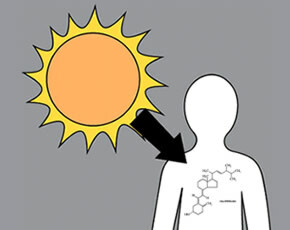 However, if the sunscreen is not used much, so vitamin D from the sun can still enter. It would be nice if used sunscreen during the daytime, to block the adverse effects of sunlight. While in the morning, you can sunbathe and get vitamin D without using sunscreen. Melanin is the substance that makes the skin look darker. This substance makes the skin does not absorb UVB sun rays. So if it takes a lot of vitamin D from the sun, people with darker skin need more time in the sun. Body fat absorbs vitamin D, but could not remove it if it is needed. It makes people who are overweight have lower levels of vitamin D compared to those with normal weight. Not only that, the more a person gets older, the effects of vitamin D on the skin will decrease. Revealed by the experts, mushrooms are an excellent food consumed by diabetics because mushrooms contain very little sugar, almost none. According to TN Lakhanpal, from the department of bioscience at the Himachal Pradesh University, mushrooms are usually eaten for their nutritional value. Mushrooms are rich in essential nutrients and good for diabetics. In addition, the mushrooms are barely contain fat is also good for people who suffer from obesity. So far, Lakhanpal explains that the potential of mushroom hasn't been much explored and known. Though, the mushrooms has many uses and nutrition. All mushrooms have been studied proved to have healing substances for cancer, HIV, and other diseases. 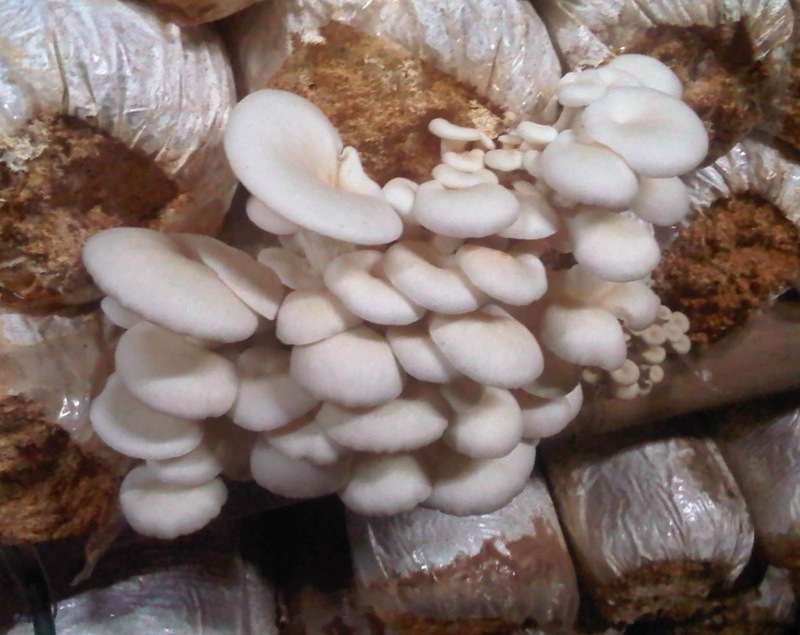 Besides beneficial in terms of health, the mushrooms also benefit financially. The mushrooms have a price that is not too expensive and can be reached by many people. Herbs are combined with medication could be an alternative for women who was having menopause. Both of these can replace hormone replacement therapy for the treatment of women who feel the symptoms after menopause, according to research in The obstetrician and gynecologist. The results showed about 50 to 75 percent of women experience symptoms of post-menopausal women prefer herbal medicines such as soy, and others to overcome the burning sensation and other symptoms. Soy contains estrogen which has been known as a food that can alleviate the symptoms of post-menopausal. A study by Iris Tong from Brown University recommends herbal treatment because there are no side effects. But this is special for women who have no history of breast cancer, not breast cancer risk, nor are taking tamixofen. Even so, at this time of new herbal medicines used in some countries. So, the research is still very limited. Many digestive problems can be effectively cured by drinking lemon juice. Warm lemon juice can overcome complications in the stomach, such as bloating, nausea, heartburn, parasitic activity in the stomach and burping. If you are experiencing abdominal pain, treat with a regular intake of lemon juice. smooth digestion also can promote healthy weight and ideal. Drinking lemon juice every morning proved to be effective in helping the liver to produce bile. Lemon juice can also cleanse the liver and help break down the food. Even lemon juice can be prevent formation of gallstones due to the optimal production of bile. You can use lemon as an antiseptic and get rid of blackheads and acne from your face. High levels of antioxidants in the lemon not only helps prevent the formation of wrinkles but also able to clean your face thoroughly. 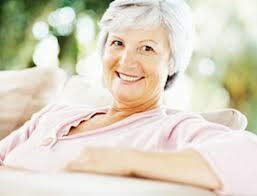 The formation of wrinkles on the face caused by free radicals, which can damage healthy cells in the body. Antioxidants in this lemon juice that could destroy free radicals cause wrinkles and acne. 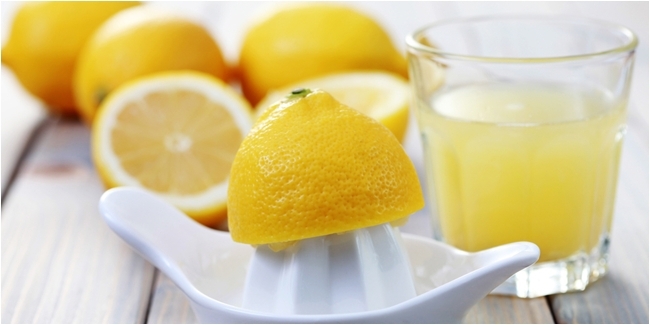 Lemon juice can overcome injuries to the gums with a massage effect and reduces toothache. Problems like breath odor can also be treated with lemon. Lemon juice also has antibacterial properties that can help overcome a throat infection. Sore throat or tonsillitis can be cured by gargling lemon juice mixed with warm water. Lemon has a high content of potassium needed by people with high blood pressure. Dizziness, nausea, and high blood pressure can be controlled with lemon juice which works to reduce the risk of heart disease. Those are some of the benefits that we can get from the lemon juice. Let's keep our health from the beginning, because health is expensive. Prostate cancer is listed as number six killer man in the world and number two in the U.S.. Genetic factors, lifestyle or eating habits that can increase the risk of this disease in men. Luckily, a study found that a high fiber diet may slow the progression of this disease. The team of researchers from the University of Colorado Cancer Center revealed that the consumption of whole grains and foods derived from plants could potentially control the progression of prostate cancer from an early stage or in other words to stop the growth of tumors. This conclusion was obtained after the researchers compared the rats fed inositol hexaphosphate (IP6) or a major component of high-fiber diet with rats that did not fed the fiber. Then both groups of rats were scanned for prostate cancer progression. As a result, truly seen the dramatic reduction in tumor volume due to the effect of IP6 on the growth of blood vessels. Is in charge of the blood vessels to supply energy to the cancer while IP6 can prevent the tumor can not make new blood vessels they need it. In fact in the absence of this energy, the tumor can not grow well. 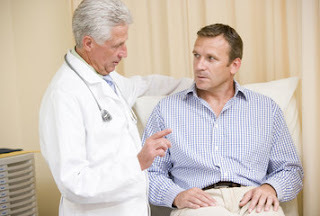 Even treatment with IP6 is suppose may slow prostate cancer to metabolize glucose. Another study from the University of California San Fransico also revealed that fiber can play an important role in preventing cancer. Because the men who ate at least 28 servings of vegetables per week have a lower risk of prostate cancer than men who ate less than 14 servings of vegetables each week. Moreover, many studies have proven that certain vegetables such as broccoli, cabbage, cauliflower, kale, Brussels sprouts and bok choy can reduce the risk of prostate cancer. Raspberry Smell Can Make You Slim? Want to slim down but do not even bother? Raspberry ketone can probably help you. 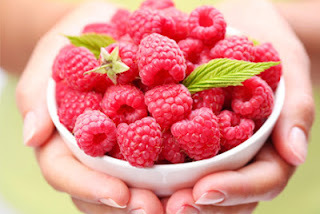 Raspberry ketone is a major aroma compounds in red raspberry that is usually used for cosmetic products and fragrances. Raspberry ketone is believed to increase a hormone called adiponectin, which can control the metabolism. Hormone adiponectin are associated with fewer high fat accumulated in the body. Dr. Mehmet Oz on the Oprah Winfrey Show once explained that the raspberry is a miracle in a bottle that can burn body fat. Is Raspberry could really work? Ann Ashworth, a researcher from the British Dietetics Association show one study that looked at the effects of raspberry ketone in rats. He revealed in the Daily Mail (08/01), Although his invention is quite interesting, but the results could not be confirmed in humans before further research. According to him, research is needed to determine whether the raspberry ketone is safe to use, contains no side effects and is safe to use with other medicines. While this raspberry ketone has been sold online. How do you want to try it? 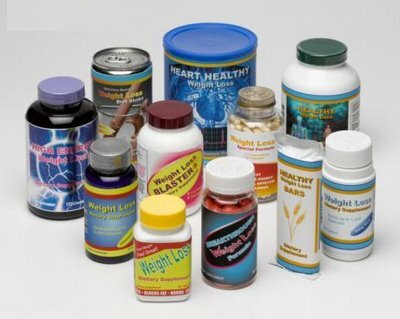 If you're trying to lose weight, you should avoid the consumption of diet pills. Because a recent study says that the caffeine content in diet pills turned out to be quite a lot and often not listed on the packaging. Caffeine doesn't give adverse effect if consumed in small amounts. However, the effect is quite dangerous if someone were taking diet pills along with drinking soda, coffee, or food and other high caffeinated drinks. According to researchers from Harvard Medical School in Boston, Dr. Pieter Cohen, Consumers really don't know the content of supplements were purchased, even though they had read the label on the packaging. Dr. Cohen and his team of other researchers, specifically analyzing the caffeine content in 31 types of diet pills. From the results of laboratory tests, it was only 11 in the diet pill is a herbal composition includes and contains no caffeine. Meanwhile, nine other products have a corresponding label on the caffeine content. Then the other five mentioned the caffeine content that is not appropriate, and the last six of diet pills, no information of anything. And in it contain caffeine high. Highest caffeine content found in diet pills is about 210-310 milligrams in each dish. Whereas in a cup of coffee, there are usually only 100 milligrams of caffeine. According to Dr. Cohen, most of the caffeine can make your heartbeat becomes faster. Even the condition of a panic attack can strike anyone who enjoys excessive caffeine. Dr. Cohen is actually regretted why many diet pill products that include false information about the content of caffeine or no label at all in the packaging. Dr. Cohen also hoped diet pills should not use ingredients from caffeine. Because, consuming excessively is capable of causing serious health problems. These type of protein snack seemingly healthy, but in fact they can contain twice the amount of fat and carbohydrates than regular snack. Something Fresh is definitely better than preserved. Similarly with dried fruit, you can add a lot of calories when eating dried fruit. Yogurt in any design is a source of calcium and vitamin D. But be careful, some brands of yogurt contain lots of fat and sugar. So make sure you choose a good quality yogurt. For those of you who love to eat salad, do not use salad dressing even though it has been labeled healthy. Whatever food is put into the packaging contains a high sodium. You can make Salad Dressing of your own from a mixture of vinegar, lemon juice, and spices such as pepper, turmeric and mustard seeds. Sushi rolls may seem small, but it may deceive you. 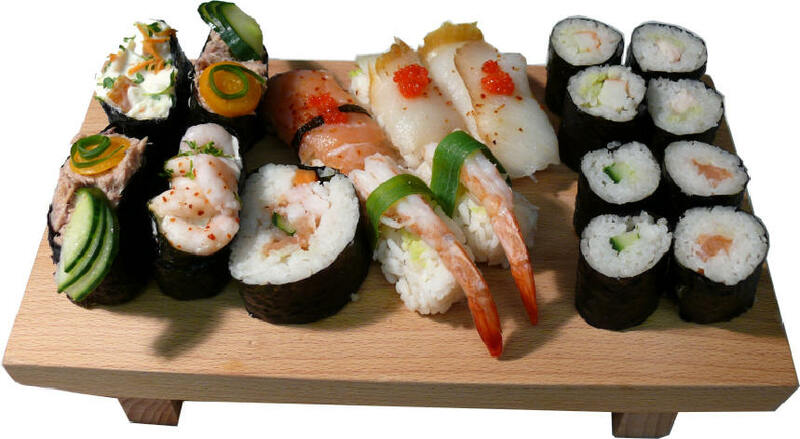 The sushi rolls usually contain more than 500 calories. Therefore, avoid types of sushi modification that adds cream cheese, shredded cheese, or spicy mayo sauce. Margarine contains more trans fat that can lower the good cholesterol in the body. For those of you who are on the diet, avoid consumption of margarine in your daily diet. These six foods that are considered healthy by many people, but the food could have negative effects on our bodies if we are wrong to consume.